'The waiting is over. Tomorrow there will be no dawn. 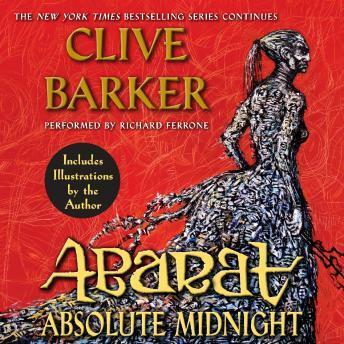 Only midnight, absolute and eternal.' Mater Motley, the Old Mother of Darkness herself—following the events of Abarat and Abarat: Days of Magic, Nights of War—has crafted a scheme that may destroy the Abarat, a vast archipelago where every hour is an island in one eternal day.